The essence of special Candleberry fragrances now available in beautifully designed 6 oz. spray containers. Candleberry fragrance at the touch of a button! Experience your favorite Candleberry scent at a moment's notice with no fuss and no flame. A sweet, intoxicating blend of a fluffy�pink sugary fragrance with notes of vanilla and fig. 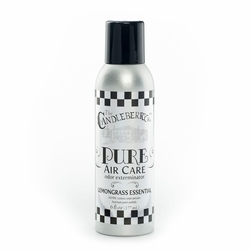 You�re practically on the boardwalk when you experience this beautiful, clean mix of all ocean-breeze fragrances. The salt in the sand, the sea, the dry coconut air and sounds of the surrounding environment add to the experience. The quaint aroma of sugared pecans mingled with a fire-roasted Kentucky Bourbon flavor. Early settlers of Pennsylvania perfected the sugar cookie recipe. Now, the Candleberry Candle Company has perfected the sugar cookie scent. Maple honey. Grandma used to cure all ailments with her special cup of warm spirits dashed with lemon juice. The best part was the spoonful of maple honey. And does this scent ever cure your senses! The effect of lemongrass on the senses is said to be calming, renewing, refreshing, and inspiring. Candleberry chose this as their first essential oil scent specifically for its powerful fragrant properties. Renew, refresh, and inspire your space with the "just cleaned" fragrance of powerful lemongrass. The rich pumpkin pie smell punctuated with the nutty aroma of pecans. Together they make waffles that are waiting for the butter and the syrup and the start of a perfect autumn day. Just before company walks through the door, spice up your room with the bursting fragrance of apples, cinnamon, sugar, and clove! Good old Tennessee Whiskey. Sister to Kentucky Bourbon, just not so many rules to follow as Bourbon. 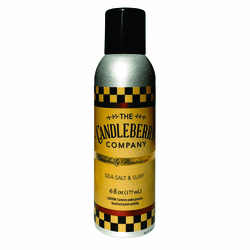 Candleberry's Tennessee Whiskey smells just like the real thing. While similar to Kentucky Bourbon, this scent adds a little more rugged flavor and spice. Nutty vanilla cake drizzled with caramel and sugar. Salt caramel's rise as the flavor of the year is what prompted this candy shop fragrance that blends the gooey goodness of caramel with the sharp counterpoint of sea salt.